Orthodox Judaism is the approach to religious Judaism which adheres to the interpretation and application of the laws and ethics of the Torah as legislated in the Talmudic texts by the Tanaim and Amoraim and subsequently developed and applied by the later authorities known as the Gaonim, Rishonim, and Acharonim. Orthodox Judaism is not a unified movement with a single governing body, but many different movements adhering to common principles. All of the Orthodox movements are very similar in their observance and beliefs, differing only in the details that are emphasized. They also differ in their attitudes toward modern culture and the state of Israel. They all share one key feature: a dedication to Torah, both Written and Oral. Note that the image above and all other images of Jewish people in this blog post are not specifically Messianic Jews. I say this so there will be no mistaken attributions assumed. There have been some conversations going in the discussion sections of a number of my blog posts. They’re too numerous to reference here, but the general themes have to do with Messianic Jewish community, the role of Gentiles within a Messianic Jewish community space, Bilateral Ecclesiology, and just how “Jewish” Messianic Judaism should be. The Orthodox Jewish community has a certain mystique. Whether it’s because we look, act or believe differently, people are intrigued by stories about the Orthodox Jewish community. Media outlets often oblige but whenever I read these stories, they don’t quite resonate with me. They don’t look like the Orthodox community I know. So I’d like to share a few things that happened to me over the last year that give a more accurate insight into the real Orthodox Jewish community. My wife and I have experienced fertility problems. We thankfully had been blessed with two children but as they grew older we had been trying for some time to have another child to no avail. One day I was speaking with my rabbi about our situation and I conveyed to him that my wife and I wanted to pursue fertility treatments but because of the steep cost, we were having second thoughts. A few days later my rabbi said that he spoke with an anonymous individual with means in the Jewish community who had agreed to sponsor fertility treatment for young Jewish couples if they could not afford it. He would not know who we were and we would not know who he was. He was motivated purely out of a sense of loyalty to the continuity of the Jewish People. That’s the Orthodox community I know. As I read through Mr. Rosenberg’s story about “the Orthodox Community I know,” I was struck by how different this would probably seem to most people who aren’t part of this community, and especially to Christians. 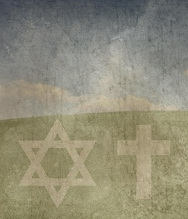 Even those Christians who are supportive of the Jewish people and of Israel, don’t always understand (how could they?) Orthodox Judaism in general and the devotion of individual people in Orthodox Judaism to their community, lifestyle, and commitments in specific. And even most Jewish people who are not Orthodox don’t always understand the Orthodox. Seven years ago, had I encountered the woman I am today, I would have pitied her: long sleeves and an ankle-length skirt in the middle of summer; no driving, writing, talking on the phone or cooking from sundown Friday until sundown Saturday; recently married to a man she’d never touched — not so much as a peck on the cheek — until after the wedding. I’d have cringed and dismissed this woman as a Repressed Religious Nut. Now my pity — or at least a patient smile — is for that self-certain Southern California girl I was at 25. On that point, Derek Leman recently wrote a blog post called Our Deeds Are Not Filthy Rags which illuminates this matter and adds quite a wrinkle to the traditional Christian interpretation of the Isaiah verse. Also, Jacob Fronczak’s article “Sola Fide” in the latest issue of Messiah Journal deepens the exploration into this important topic. I’m not trying to create a commentary on the nature of “salvation” and the differences between Christianity and Judaism, I’m just saying that we can’t automatically dismiss how Orthodox Jewish people (or any Jewish community) see their own relationship with God. So, the reason G-d chose Israel is because He already loved them and has promised their forefathers that He will take care of them. Does it make Jews somehow better than any other people? Not at all and it’s not the reason behind G-d’s love for Israel. After all, one parent’s child is not inherently better than a child of another parent. Your child is no more deserving of love than someone else’ – she is just yours. G-d loves Israel not because He has some grand plan and purpose for Israel (even though He does) or because Israel will proclaim her G-d and His Torah to all nations (which she certainly will). Neither did G-d set His affections on Israel because, as Christianity claims, “Israel was chosen to give birth to Jesus” and “to give nations the Gospel”, a useful tool that can be discarded once the chief purpose has been accomplished. No, these are all conditional reasons. G-d didn’t set His love on Israel because Israel was somehow capable of earning G-d’s love by her performance. Instead, G-d loves Israel because He loves Israel – that’s all there’s to it. Depending on which denomination of Christianity you belong to or to which Christian doctrine concerning the Jewish people and Israel you adhere, you may actually believe that God still loves Israel and has future plans for her, but it’s really all about “the Church.” God may still use Israel, but their relationship isn’t what it once was, and God really loves the Church best. I’m oversimplifying that viewpoint of course. I don’t have time to go into all of the details and you don’t want to read a ten-thousand word blog post. Nine months later we gave birth to a beautiful baby girl. The excitement began early Friday morning and as the day progressed I started thinking about Shabbat. What would we eat? How would I recite Kiddush? Light candles? I remembered hearing about an organization called Bikkur Cholim which means “visiting the sick.” It’s a volunteer-driven charity that looks after the needs of people in hospital. I called them and within a couple of hours someone came to our hospital room with literally bags of food, grape juice for Kiddush, electric candles to serve as Shabbat candles, even spices for havdallah. The food is free and the person delivering it is a volunteer. In the few moments I had to speak with him I learned that he was just a regular guy — an accountant — who takes off Fridays from work to volunteer for Bikkur Cholim. I asked him why he does it and he replied simply that it’s what God wants of us. I’m talking about not just God’s love for Israel, but within the Orthodox Jewish community, one Jew’s love for another as well as the community’s love for one Jewish family. I asked him why he does it and he replied simply that it’s what God wants of us. That’s the Orthodox Jewish community most of us, particularly in the Church, don’t see. No, I’m not saying Orthodox Judaism as a practice or a community is perfect. The fact that it contains human beings means it will, by definition, be imperfect, just as any other form of Judaism will be imperfect, just as any of the estimated 41,000 Christian denominations and their members will be imperfect, just as any human community anywhere across time and space was, is, and will be imperfect. Jews don’t need to be perfect for G-d to be on their side – G-d already loves them as His own people and nothing can ever change it. No doubt, He has disciplined us when we sinned, and He did that many times. However, at the same time, He’s very merciful. He promised that He will not be angry with us forever (Isaiah 57:16). As that Deuteronomy prophecy promised us G-d Himself will “circumcise” the hearts of all Israel after He brings them to the Land. When He does, all Jews will be Torah-observant, to the last one. The statement that Jews don’t need to be perfect for God to love them, particularly in Orthodox Judaism, might take some Christians by surprise. It is generally thought by some of the Christians I know that Jews believe they have to perform the mitzvot perfectly in order to please God. Again, I’m steering clear of the whole “salvation” issue, and I’m instead talking about love. Please don’t try to “bust my chops” about Christians being saved and Jewish people not being saved. It’s not what I’m writing about and I won’t approve any comments on the topic. But what does all this have to do with Messianic Judaism? Of course, I usually aim that quote at non-Jews who are so enamored with Jewish practices that they leave faith in Jesus entirely and convert to Judaism, usually Orthodox Judaism. You’d think, given that, I wouldn’t be trying to paint such a rosy picture of Orthodox Judaism here. But, on the outside looking in, we often criticize things we don’t understand. It’s easy for Christians or just about anyone else to be critical of Orthodox Judaism because we are outsiders. We aren’t like them. We’ve been taught that we should never be like them, and if we tried (by converting or otherwise affiliating with the Jewish community), we would lose our salvation and God’s love. From an Orthodox Jewish point of view (not that I have that point of view, I just quote articles), God loves Orthodox Jews and, referencing Shimon Rosenberg, Orthodox Jews love each other. Most non-Jews in Messianic Judaism and Hebrew Roots, and probably not a few Jewish people in those groups believe that it’s unBiblical, racist, and just plain wrong for Jews in Messianic Judaism to desire a community that is primarily or exclusively Jewish. The fact that Gentiles are “grafted-in” to the Jewish community, once called “the Way” and are considered equal co-participants in God’s love make it almost unthinkable that God would still reserve a “specialness” for the Jewish people and that God would not only tolerate but expect that Jews feel a “specialness” for each other. Gentiles feel excluded by this sentiment among believing Jews. They (we) feel like we are rejected, inferior, second-class citizens, and “back of the bus” riders traveling on the road to the Kingdom. To counter this, I can see at some point, a Messianic Jewish writer composing and publishing a small article called ”The Messianic Jewish Community I Know,” describing why it is important to have such a Jewish community for Messianic Jews. Granted, the uniqueness of Messianic Judaism when compared to the other Judaisms in our day (or historically), makes it more difficult to operationalize Jewish community within the larger community of disciples of Messiah, and I think we’re still working that out. But the consequences of failing to support Jewish community within Messianic Judaism can be (and have been) disastrous. According to Mark Nanos in his classic text The Mystery of Romans, the problem Paul was addressing in his letter were Gentiles who were flaunting their “freedom” (not being obligated to Torah observance to the level of the Jews) to the Messianic and non-Messianic Jewish populations of local synagogues in Rome, acting as a “stumbling block,” especially for the non-believing Jews who, because of Gentile arrogance, were inhibited from considering, let alone accepting, faith in Yeshua. While the Nanos view would be considered controversial by many Christians, it does explain Paul’s rather harsh rebuke or even threat (Romans 11:21) to the “grafted in” branches. Paul was passionate for his people, the Jewish people, even his opponents, and Paul said he would surrender his own salvation if it would save some of them (Romans 9:3). Paul never abandoned his people and God never abandoned Israel. We, as non-Jews, may not understand Jewish “choseness” but it exists. We, as non-Jews may not understand the need for Jewish people to have community specifically within a wholly Jewish context, but it exists. I live it out. I live with a Jewish wife. She needs to be a part of our local Jewish community and even though it is sometimes uncomfortable for me, she needs for me to not be a part of that community. Admittedly, other intermarried couples share synagogue life, even within Orthodox Judaism (look at Chabad), but given my background in Hebrew Roots and my current relationships within different aspects of Messianic Judaism and normative Christianity (and the fact that our little corner of Idaho makes it difficult to be anonymous), it’s best for her that we have a clean line separating me from that part of her life. I think it’s because I can see that line on a highly personal level and that I’ve gone through the struggle of making it OK for that line to exist and even to be necessary for my Jewish wife, that I can see the necessity for an exclusively Jewish community within the body of Messiah, too. Humanity, when completely unbound by G-d’s Laws, when unrestrained by fear of Him, when viewing their fellow human beings not as created in G-d’s image but as an unprofitable animals to be destroyed is at its absolute worst. Unshackled from the divine, humanity is driven to satisfy the desires of its lower, animalistic nature. In such a state, human beings have the capacity to do much evil in their rebellion against the Almighty. Since there’s nothing they can do to G-d Himself, evil people can only resort to rejecting, despising and destroying everything that G-d loves and holds dear. This is why, I believe, Jews have suffered so much during the Holocaust and have been an object of hatred everywhere they went and to this very day. Their identification as the people loved and chosen by G-d has made them the perennial target for the worst humanity has to offer. Gene wrote that in response to the question, ”If G-d is with Jews, why did the Holocaust happen?” Maybe I’m being extreme applying it to the current context, but I believe just because we don’t always understand the relationship God has with the Jewish people and that the Jewish people have with each other, we shouldn’t discount it, either. And as Christians, we absolutely should do nothing to destroy Jewish people and Jewish community. We have been warned. In Jeremiah 31:3, God said to Israel ”I have loved you with an everlasting love,” and in John 13:34, Jesus gave his Jewish disciples a new commandment to love one another as he loved them. Christians generally apply that “new” commandment to themselves (ourselves), the commandment of self-sacrificial love, but I don’t want to set aside the immediate context in which Jesus uttered these words. He was talking to Jewish disciples within his Jewish community. He knew each and every one of them would suffer and all but John would die in excruciating ways for the sake of Heaven. That’s the kind of love the Jewish Messiah and Rabbi from Nazareth wanted each member of his Jewish community to have for all the other Jewish members. Again, that doesn’t mean this commandment doesn’t have wider implications, but even Paul, the emissary to the Gentiles went ”first to the Jew” (Romans 1:16 for instance), because the Gospel message, the “good news” of the Kingdom of God, belongs first to the Jew and then also to the rest of the world. That gets back to the one statement you made among your list of questions: “Maybe what they were impassioned about was the hereafter, the blessed age to come, not so much the Messiah.” In my opinion, the focus really wasn’t so much about the afterlife or eternity, but the restoration of Israel under the Messianic King, who would return the exiles, rebuild the Temple, teach Torah, and bring peace to all the nations of the world, with Israel as the head. That’s something to be impassioned about in my humble opinion. It’s not comfortable to belong to a group where certain members are more special than you are, especially if their being special has to do with an inborn trait such as, in this case, being Jewish. There’s no way to acquire being Jewish except through conversion, so we can never attain that particular position of being special. We can never fully belong to that group in a way that is identical to what the members of that group have between each other. We Christians balk at that, in part, because anyone can become a Christian and Jewish Christians in the church (as opposed to Jews in Messianic Judaism) are just like everyone else, identical in role, function, and identity. That’s actually not a good thing, and I have had more than one Jewish person tell me that Jewish conversion to Christianity is just finishing the Holocaust that Hitler started. Which is a really good reason why Messianic Jewish communities for Messianic Jews is so important and so necessary. I have no desire to participate in any attempt to remove Jewish people as a distinctive people and community from the face of the Earth. That would be like wanting to remove the Jewish identities and specialness of my wife and three children, and frankly, I wish they were more observant and more mindful of their distinctiveness as Jews. This isn’t to say that I don’t want them to also embrace Messiah, but that’s out of my hands for lots and lots of reasons. I must trust in God that He loves my wife and children, not just because He loves human beings, but because He loves Jews. Paul said “all Israel will be saved” (Romans 11:26). He also said ”If the part of the dough offered as first fruits is holy, then the whole batch is holy; and if the root is holy, then the branches also are holy” (Romans 11:16), meaning (I believe) if the first fruits, that is, the first Jews to come to faith in Yeshua are holy, all Jewish people, all the branches, are holy. While the Church struggles with the plain meaning of that text, I find it gives me some strength and assurance that God won’t throw the Jewish people in general and my Jewish family in specific under some cosmic bus just for giggles. I trust the Apostle Paul that he was using those words to caution arrogant Gentile believers in the Jewish synagogues in Rome that the calluses on the Jewish heart for Messiah will one day be made smooth and they will be healed. In the end, all I have is my faith in God that, for the sake of the Jewish people, my Jewish people, my family, they will also be healed and saved. In the meantime, I accept that there are some places my wife must go that I cannot and should not follow. And as objectionable and offensive as some members of my readership (and beyond) find the term “bilateral ecclesiology” and the concepts behind it, I ask that you try to see Jewish people and Jewish community requirements from my point of view, even if you can’t see it from theirs. I find it difficult to affirm their God-given distinction (and you know that I do) without also affirming gentile distinction. Being Jewish has no meaning unless there’re also non-Jews. Since God doesn’t make errors or junk, I don’t think of them as “special” in the way many think of it– as in, better. Is a male better than a female? For ages we’ve been told this is so, and I reject that too. How could this be? Again, there cannot be one without the other. Gentiles may feel excluded, but I believe it’s due to an immaturely developed (rather, nonexistent) sense of who we are in the plan of redemption, due to wild supercessionism and Jew-hatred espoused by Church fathers. If Jews were all that mattered, why weren’t they first on the scene of creation? Why does God use the fullness of time in redemption? Conversely, if Jews don’t matter, as many Christians seem to believe (besides a very long list of reasons from the entire Bible, but this is too long already), why wasn’t Messiah brought forth much sooner? Why did he have to wait and come as an observant Jew, prior to the 2nd Temple being destroyed? Because Gentiles were almost all pagan in the 1st century and the Greeks and Romans were so perverse in sexual practice and worship, and well, name it, some see Gentiles and pagan as synonymous, but this isn’t true. We’re interdependent and we all have purpose and a calling. I wish we’d realize being Jewish isn’t better, but it’s different, and Jewish people need to be loved and supported and allowed room to grow, and step into that calling again, and it’s very hard to do when Gentiles are jockeying for their “right” to take over due to insecurities created from the Church teachings. I’ve written endless blog posts including Provoking Zealousness and How Will Christians Perfect the World to illustrate the interactive and co-dependent relationship between believing Gentiles and the Jewish people. And yet, many Hebrew Roots and normative Christians cannot or will not see the advantage that the “people of the nations who are called by His Name” have. As you say, if Israel is no longer relevant and has been replaced by the Church, then since any association (let alone our salvation) we have as Gentile to the God of Israel is dependent on the Abrahamic Covenant and the New Covenant made with Israel, then shooting them down sends us down in flames, too. I totally disagree with you, James. Galatians 2:18, “But if I build up again those things which I tore down, then I prove myself a transgressor.” To quote D. Thomas Lancaster from his book The Holy Epistle to the Galatians, “Paul saw where this was going. He saw that this could only result, ultimately, in two different peoples: a Gentile ekklesia and a Jewish ekklesia, and he did not care for it.” I stand with the apostle Paul and Lancaster on this one; and you can try to spin it however you want, I ain’t buying it. As I mentioned on Facebook Keith, I’m glad you came along. I thought that everyone was agreeing with a rather controversial topic far too easily (not that I wrote it just to stir the pot, so to speak). We ourselves are Jews by birth and not Gentile sinners; yet we know that a person is justified not by the works of the law but through faith in Jesus Christ. And we have come to believe in Christ Jesus, so that we might be justified by faith in Christ, and not by doing the works of the law, because no one will be justified by the works of the law. But if, in our effort to be justified in Christ, we ourselves have been found to be sinners, is Christ then a servant of sin? Certainly not! But if I build up again the very things that I once tore down, then I demonstrate that I am a transgressor. So what’s Paul talking about? Separate worship venues for Jews and Gentiles? Probably not. That wasn’t the issue at hand. The issue was Gentiles who were being convinced by a Jewish population (who may or may not have been proselytes) that they had to convert to Judaism in order to be justified before God. What did Paul tear down? In my opinion, he tore down a few things, including any local halachah (I use “local” meaning “that period of time” rather than a locality) that said it was bad, wrong, or “unclean” for Jews to mix with Gentiles, any other Jewish/Gentile social barriers, and the idea that somehow only Jews were spiritually superior enough to receive the Holy Spirit. Does this have any bearing on my opinion expressed in this blog post? Some. Paul may well have disagreed with me in the extremity of my (apparent) suggestion, that Jews and Gentiles may require separate worship and community venues. Paul seemed to desire that Gentiles enter into Jewish community as equal co-participants, but not have to convert or adopt Jewish identity, in order to encounter the God of Israel. But flash forward two-thousand years. Today, there may be some Jews in Messianic Judaism to need to experience a wholly Jewish community in Messiah. For centuries, the only avenue for a Jew to worship Yeshua as Messiah was in a Christian church, and the price of admission was surrendering everything about them that was Jewish. Messianic Judaism in the modern era offers a viable alternative, and allows a Jew to remain a fully observant Jew and still be within the body of Messiah. Most Jewish people I know would have no trouble “sharing Jewish space” with Gentile worshipers, but obviously some would. It is to that population I am speaking, those Jews, like many Orthodox Jews, who need to be part of Jewish community even as they need to be part of Messiah’s community. That population may need, in the present, to be who they are, including having a space they can call all their own, just like the Orthodox Jewish family I was describing in my blog post. Using that example, should I enter my local Jewish communities and tell them I want them to change for the sake of me, a Gentile? Probably not. But we don’t acknowledge the same Messiah so that’s an easy demarcation point. But should I have the ability to force my way into a Messianic Jewish community and make demands as a Gentile because we share a common Messiah? Or should I respect that community, as I respect my wife’s choices as a Jew? My personal view of the matter is this: if HaShem set Israel apart long ago, then because HaShem doesn’t change, Israel is still to be set apart. As I desire with every fiber of my being to be part of HaShem’s people, I willingly, gladly, graciously, and gratefully accept my humble place within their midst. If that is the way HaShem wants it, then it is the way I want it and I have no problem with it at all. I want what HaShem wants. Period. I’m just grateful to be welcomed at all. 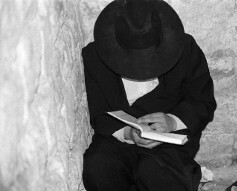 Sojourning is right-on in saying that “Gentiles may feel excluded, but I believe it’s due to an immaturely developed (rather, nonexistent) sense of who we are in the plan of redemption…” Messianic Judaism offers to show Gentile Christians their identity in the plan of redemption in a mature way, but Christians are so ignorant of any way other than Christianity’s way that they see Messianic Judaism through a distorted and contorted lens. Fear of the Lord compels me to keep an open mind about HaShem’s will, His character, His ways. His being the Almighty One keeps my heart and mind receptive, humbly celebrating the fact that I am welcome in His house. Humility and patience are qualities we sometimes lack as Gentile disciples of Messiah. The traditions of the Church have made us arrogant, Dan. We have forgotten how to take the lesser seat at the banquet, and then to wait. I still think that today Paul would still disagree with separate worship and community venues. The same concepts don’t change. In the diaspora like today I’m sure in Paul’s day there were majority of non Jews in the community of Messiah. Just because there might be a majority of Gentiles doesn’t mean Jews won’t be able to have a wholly Jewish community in Messiah. In fact non Jews in reality are to experience the same. This by no means blurs Jewish identity and by no means makes non Jews into Jews. In my opinion what some circles in Messianic Judaism are promoting is 110% against the ekklesia and the New Covenant. James it depends on the community. I’m not referring to fringe Hebrew roots, 2 house groups. It seems like Beth Immanuel is a good model for a majority non Jewish congregation. You see it doesn’t matter if a congregation is majority non Jewish or not in this case. Jewish identity and Israel still prevails no matter what. The model of Beth Immanuel is something we should be discussing and NOT the Church. The path that Messianic Judaism circles are promoting is sacrificing non Jews in our midst to try and be accepted by our non Messianic Jewish brethren. I believe it’s a great goal to want to be accepted as a valid form of Judaism and that’s what I would love being a Jew. However what controversies will Messianic Judaism do in order to do this? Offer Messianic Jewish conversions? Being a Jew I can tell you that’s a joke among my non Messianic Jewish family and brethren. The point is the ekklesia of Messiah is the body of Messiah and there are controversial topics among our Jewish brethren such as the Gentile problem. Sorry, Macher, but you are entirely wrong that a majority non-Jewish presence in a Jewish congregation doesn’t matter. One segment or the other of the ecclesia will suffer (and has suffered during the past four decades). Either the supposedly Jewish environment will become diluted (or it will remain in an already dilute assimilated condition) to accommodate the non-Jews, or the non-Jews will be forced into a culture that does not belong to them and that will push them toward Jewish conversion. Incidentally, if Messianic Jewish conversions are a joke it is only because Messianic Judaism itself is not taken seriously, in part because of the failure of MJ in general to promote a halakhically Jewish approach to its conduct. However, Rav Shaul explicitly and vehemently discouraged non-Jews from responding to pressures toward converting. Let us refrain from subjecting them to similar pressures nowadays. A significant component of Messianic Judaism at its origin was a goal to restore lost Jewishness in the praxis and outlook of Rav-Yeshua messianists. This goal has been much inhibited or even ignored during the past four decades throughout most of what calls itself Messianic Judaism. The reasons for this are multiplex, but the fact remains and encourages those who do not consider MJ a serious attempt to develop as a form or stream of Judaism. You complain about sacrificing non-Jews in our midst for the supposed purpose of being accepted by other Jews. Such a statement misrepresents entirely the goals of Jewish restoration by focusing on only one possible beneficial result of a much larger set of outcomes which includes improvement of our own community’s characteristics and even the likelihood of greater acceptance by Jews of Rav Yeshua’s messianic credentials. For such a goal, Rav Shaul was willing to sacrifice himself. Instead, your position sacrifices Jews whose well-being and growth toward maturity is presumed even by Rav Shaul to be for the ecclesia a primary purpose. Historically, the gentiles of the ecclesia did not begin to outnumber the Jews until after Rav Shaul’s lifetime, so of course he did not address a situation comparable to what we face two millennia later. He also did not need to address centuries of gentile arrogance against Jews — that denied even their right to exist as a people let alone their right to live and conduct themselves as Jews. He barely scratched the surface of the subject in his letter to the Roman assemblies who did already suffer the arrogance against Jews that was endemic in Roman culture. But most of the assemblies he established and later wrote to were entirely constituted of non-Jews. While we may hope that these were following the Acts 15:21 recommendation about attending Torah teaching in synagogues each Shabbat, it seemed to be rare that situations would arise like that described in Thessalonika in Acts 17, where part of the problem seemed to be the sudden large influx of non-Jews. We are not observing mixed congregations in the apostolic writings, despite the emphasis that Jews and non-Jews could fellowship together if certain cautions and concerns for one another would be observed. But occasional fellowship is not identical to, nor a justification for, mixed-demographic congregations. The absence of, indeed the contravention of, any sort of “thou shalt not mingle” rule does not then become an alternative rule saying “thou must constantly mingle whenever possible”. Agreed, James. Fear of the Lord is the beginning of wisdom. Arrogance is symptomatic of a lack of fear, it seems. You hit the nail on the head: the lesser seat, for me, thank you. My Father’s approval is better than any seat in the house. And this is how His “sent one” taught us to handle the situation. I think what some people are missing when reading this blog post is the inspiration for it. It would help if people not quite understanding my intent would click the link to the Aish.com article “The Orthodox Community I Know”. What inspired me about this write-up is the description of one Orthodox Jewish man’s relationship with the Orthodox Jewish community and how it intersects not only his day-to-day existence, but special needs and even crises his family experiences. Those needs would never be understood by someone outside the community and it would be difficult to even communicate why those needs exist to someone outside of Orthodox Judaism. It’s a picture of how community helps each other, but that help is based on mutual understanding of needs and identity that occurs at a very intimate level. Now think about what Rosenberg was saying about the Orthodox Jewish community he knows and apply that to Messianic Judaism, or at least those portions occupied by people who have a strong Jewish identity and affiliation, who were raised in culturally and religiously Jewish homes, and who cherish Jewish community in the manner of the Rosenberg article. Hopefully more people having read the Aish story, will begin to get a better idea of what I’m trying to communicate. You should have stopped right there, but no, you go on to right four more paragraphs rationalizing why “your” opinion is right. You are perfectly free to disagree with me, Keith. I’m not trying to personally upset anyone and if you read the comment just above yours, you know what motivated me to write this missive. I also explained, in the body of the blog post, the personal aspect of my opinion. I’m not saying this solution is right for all Messianic communities, but I think it’s necessary for some. What is so sad to me is how so many Gentiles refuse to allow that the Jewsih psyche is battered and bruised. Paul was coming from a totally different place! Some Gentiles have come to a place of finding value in Jewish teachings which is understandable and good. However, just as in the Church paradigm, it’s seemingly disconnected from the actual people themselves. Sorry to say, we Gentiles (and Christianity especially) have put Jews through the ringer. They need to heal. What they don’t need is to be put on a pedestal, or made feel as if they are a token or a novelty (Gentile stage 1), or be around Gentiles who grieve their own identity saying things like “I’m only a Gentile, but I love Jews and wish I was one!” as if being a Gentile is somehow inferrior. This is so common and I’ve heard on many occasions how strange and weird this makes them feel and this is Gentile stage 2. Since the Church has set us Gentiles up for failure with Suppersessionism, and it’s coursing through our veins without us even knowing it most of the time, when we see how central Jews are in their own scriptures, we feel we must devise a way to “matter” to God too, so in Gentile Stage 3 we begin to mimick Jewish things. If the Gentile hasn’t walked with God for long, or had any profound experiences with Him, in Gentile Stage 4 they begin the final pase of “Out Jewing the Jews” and this is quite prevalent. It’s the ultimate form of replacement theology from my perspective. Suddenly nothing is “Jewish enough” and many will seek conversion. To be sure, we Gentiles need to learn our calling, especially within Jewish space, and we need to be guided so that the insecurities that arise in that space (that we didn’t know we had) can be soothed and healed. Perhaps it’s been too ackward for the Jewish leadership to teach Gentiles these things, (they’ve been trying to carve out space for Jews!) and things got out of hand, who knows, but all of this craziness has an impact on the real Jews who have a lived history and are in need of spiritual attention and HEALING which cannot come about while Gentiles are peacocking around and making it all about them. It’s not as if Gentiles will ever not be in the midst of Jews, but for goodness sake why is it so difficult to give them some time, space, and love? I so appreciate what was just said here by Sojourning. Sometimes it’s like we (Jews) are being told by Gentiles “LOVE ME! !” And I feel like saying. I DO, but BACK OFF a bit huh?! Or that they are trying to ‘out Jew’ us. I realize by Messiah that we are one in him, and that we are called to love all equally in Messiah. I love that fact. And imitation is the best form of flattery. But as any parent would teach, we are different but equal. Nowhere did God say were were the same, having changed into the other. He always said we are all one. All of us, make up one body. We are not made all the same. Yet we are joined, not at the hip, but at the heart, by the work of Messiah. Thank you James for another good missive. I rather loved this one! Thanks, Shimshon. I appreciate your comments. I’m sure “Sojourning” does, too. I just read the Aish.com article, James, as you suggested. A good snapshot of life with all the trimmings: compassion, encouragement, rol-up-the-sleeves and help. The time I’ve spent in Reform Jewish circles is quite similar. Mostly Holocaust educators who attend Reform Temples. I can say this: I am treated with uncommon dignity and respect, as if a red carpet had been rolled out for my arrival. When we are in an educational setting, a conference or a planning meeting for a conference, and sit down to eat (usually vegetarian), we talk about family and life in general. You hear the same kinds of things mentioned there. Along with a very deep respect for Christians who go out of their way to share in Jewish concerns, a phenomenon I don’t hear within Christian communities about the Jewish community, even though the Jewish community here and in larger populations are constantly doing community work, participating in community endeavors, etc. ; endeavors that the community at-large benefits from. This, as I see it, has to do with remaining true to one’s identity as a means of fortifying the greater group. It’s almost what I’d call a “practical” consideration as well as a philosophical or spiritual one. Better to have non-Jewish friends in the community should trouble come than anything else. Friends in the larger Gentile community are needed to stand within the Gentile community and support or defend the Jewish community. That way, there will be influence within the larger Gentile community from WITHIN, and that could mean the difference between an anti-Jewish situation going one way or the other. This relates to the aspect of inner “strength”, as well, that knowing who you are and being who you are is the most healthy way for interaction to take place. No pretending allowed. Pretending makes everyone uncomfortable because it sends a signal that you are not comfortable with who you really are inside. I am quick to acknowledge that I am a believer in Yeshua (I usually use the term “Christian” for expedience) of good, strong Irish-Italian stock who has thrown his hat in with the Jewish people, who are the people of Yeshua, for good or for ill. I’ve never had a Jewish friend or acquaintance have any problem with that. Although I don’t think Robert Frost meant it in a positive way in his poem, the notion of “good fences makes good neighbors” comes to mind, and I sense a very strong sense of appreciation from my friends the Jewish community when those fences act as good demarcations of “turf” without acting as objects of division. When I am who I am and they are who they are in mutually beneficial fellowship and mission. Dan, I’m sure you know that a large part of your being accepted is that you’ve gone the extra mile and more to be supportive of local and extended Jewish communities through your educational work. It’s not just that you say you support Jewish people and it’s not like you just show up at a synagogue. You actually do something to illustrate your intent and your heart. Not that all non-Jews need to do exactly what you do, but as has been noticed in the discussion here and on Facebook, occasionally, some Gentiles go into Jewish communities and make a fuss about this or that, which results in many old fears of Gentiles, especially Christians, being aroused. In the Messianic world, this can happen as well, and it’s something we non-Jews often miss because “there is neither Jew nor Greek, but all are one in Jesus Christ”. You’re right, James, and I do want to acknowledge the threat that Gentile presuppositions mean to Jewish identity and culture. Back in the late ’80’s, early ’90’s I spent three years in a strong, very traditional Jewish Messianic synagogue on the west coast and every now and then groups of Christians would pull up to attend Shabbat service. “Looky-loos” the congregation called them. The Messianic Jew was a curious creature to behold. Not in a demeaning way, but the fact that these Christian groups found it SO ODD that believing Jews would practice the faith of Yeshua and Moses and the Patriarchs says alot about the way Christians still look at Messianic Jews today: as a curiosity, but not JUST a curiosity, one with a Trojan Horse-like threat carried within. The other side of the coin is, as you know, that on the evangelical side of things, to even entertain the thought aloud that the non-believing body of the Jewish people have somehow managed to remain in God’s favor is tantamount to heresy. Again, the “salvation” issue running the show. I made an appointment with my pastor to meet a Messianic rabbi once. The meeting went very well. The pastor looked in the rabbis eyes and saw the same love of Yeshua in his eyes as was in his own. Pastor Paul is a rarity, but he no longer has strange ideas about Messianic Jews. We need a brokerage entity that does nothing but arrange meetings between key Christian pastors and Messianic rabbis. Let them look into each other’s eyes and see what’s real and common between them. Something like Barnabas with Paul, a mission to bring warm, living bodies from each side together. But, as Sojourning with Jews mentioned, we have 2,000 years of anti-Jewish Christian theology to contend with. And we often have the audacity to bring that as Gentile believers into Messianic Jewish congregations. It does not even dawn on such foolish Gentile believers that Jewish identity comes from God and that to threaten it – either in a Messianic or non-Messianic Jewish community – is seen as being akin to a “final solution to the Jewish problem” by way of forced theology. Another statement by Dr. King that also seems to apply. We need a brokerage entity that does nothing but arrange meetings between key Christian pastors and Messianic rabbis. Let them look into each other’s eyes and see what’s real and common between them. As I understand it, that’s sort of how Boaz Michael’s “Tent of David” concept was developed, but rather informally at first. Because Boaz travels extensively in Christian and Messianic circles, he could put together “Messianic Gentiles” with Pastors he knew would be receptive to their message. The result often was a changing of the local church where there was a “softening” by the church toward Messianic Judaism and Messianic Jews (and by inference, all other Jews and Israel). However, as I can attest to based on personal experience, we still have a long way to go. She really made my point for me.